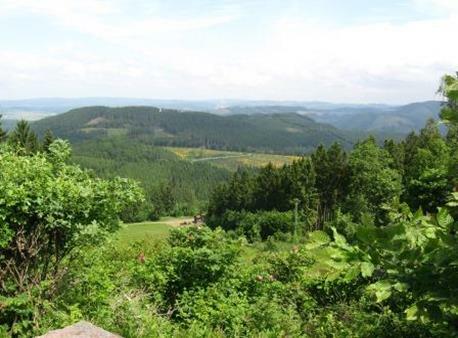 A four day hiking trail - a circular walk - in the Rothaar mountains, Sauerland. About 72 km in total. 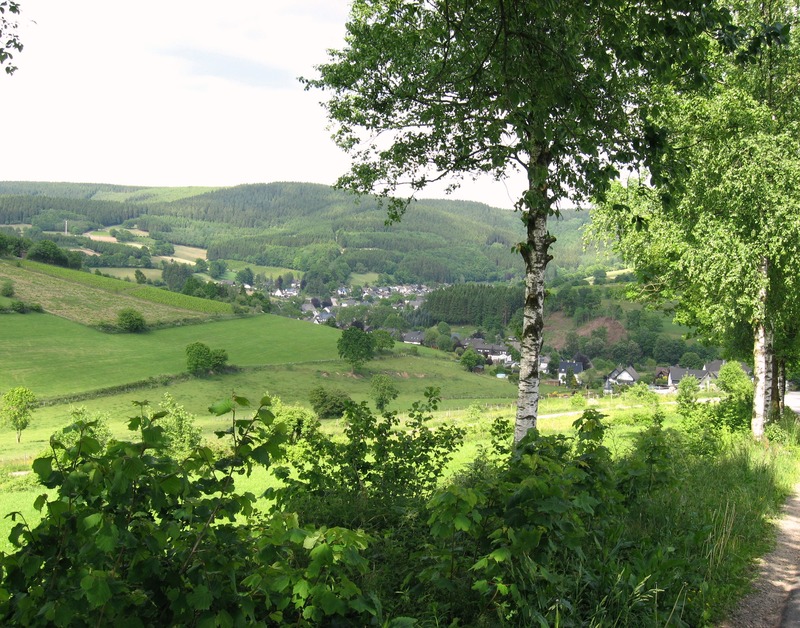 On height by dense forests and in the valleys nice Fachwerk-villages. 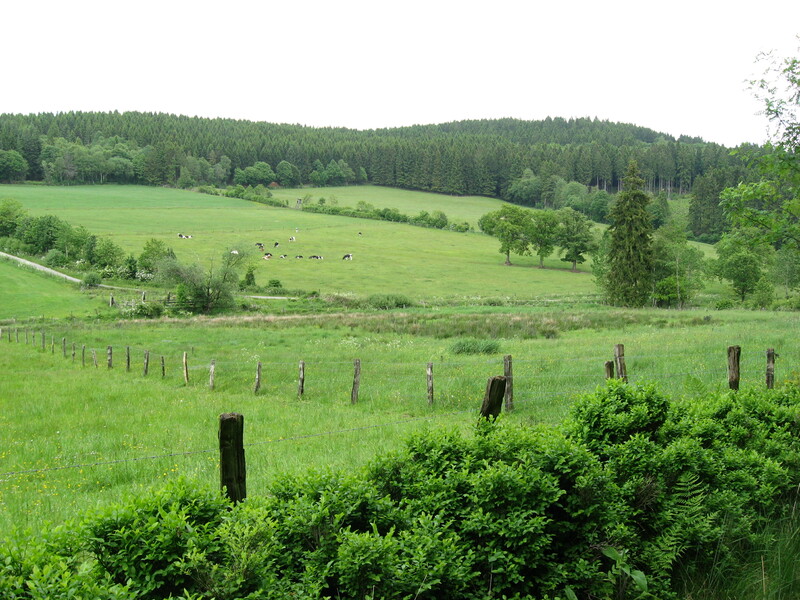 The landscape is one of the most beautiful of the south of Sauerland (southland). Getting there: by car its only a few hours from the Dutch-German border. 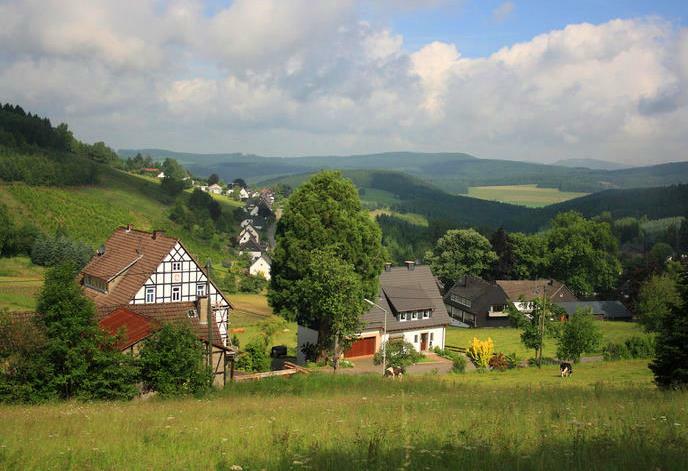 Or, after a flight to Dortmund, by train from Dortmund-city, Hagen and in the end: Lennestadt-Kirchhundem, our starting place.The public transport possibilties are very good. Map: Wanderkarte Lennestadt&Kirchhundem, scale 1:20.000. Publ..: Tourist Information L&K. On this map you can find all trails. And there are lot of them. 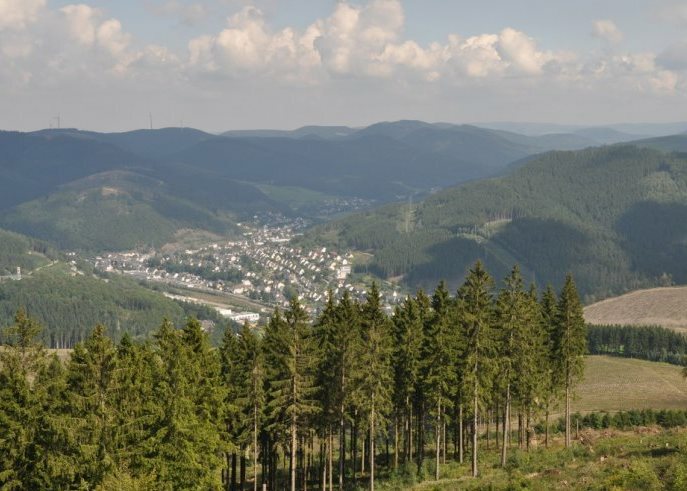 You can book all hotels via the tourist office of Lennestadt-Kirchhundem. The arrangement is called “Hundem-Paad”. Marked with the K. Because of the dense forests at day 1 we decided to make our own hike, just to see more views and panoramas. 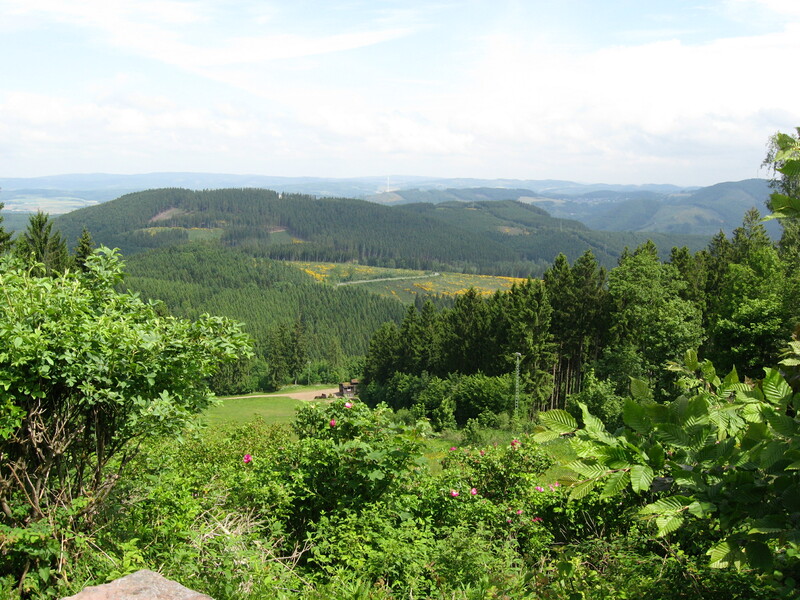 May 2015: a walk in Sauerland. 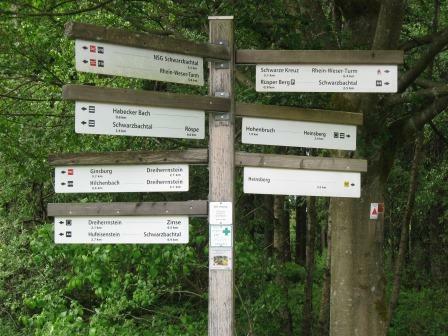 Indication of height: 300 - 700 m.
On trail: The region has 2711 mountains of more than 400 meters, with well marked hiking trails. You can choose or change your day-trip every moment you like. Like we did after day 1 because of the dense forests. 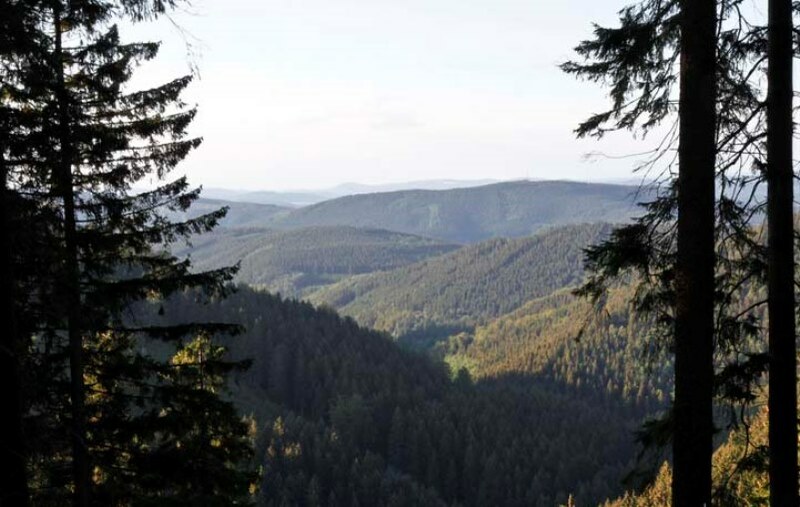 On the first day a nice climb to a kind of watchtower: Hohe Bracht.Through (580m) some beautiful villages, nice views, flowing rivers, like the Hundem and the Röspe. Or small springs. 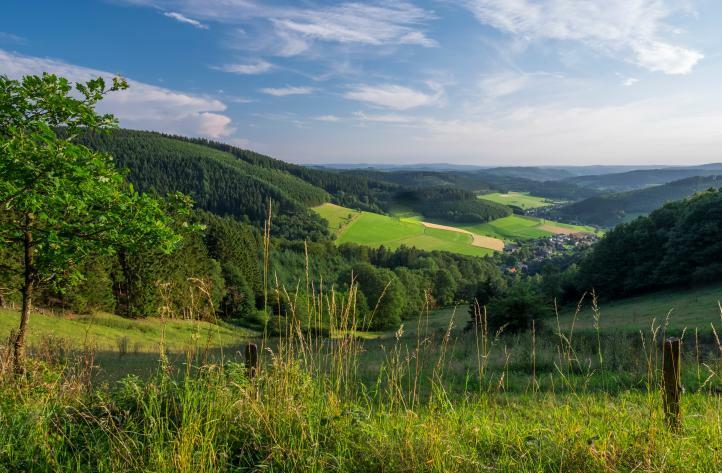 In these four days you walk through two Nature Parks: the Rothaar-mountains Nature Park and the Ebbe-mountains Nature Park.